Hadhrat Abuzar Ghifariis very famous among the Sahaabah for his piety and knowledge. Hadhrat Ali used to say: "Abuzar possesses such knowledge that other people are incapable of acquiring." When he first got news of Nabi's mission, he appointed his brother to go to Makkah and make investigations regarding 'the person' who claimed to be the recipient of Divine revelation. His brother returned after the necessary enquiries and informed him that he found Muhammad J to be a man of good habits and excellent conduct and that his wonderful revelations were neither poetry nor magic. This report did not satisfy him, he therefore decided to set out for and find out the facts for himself. On reaching Makkah, he went straight to the Haram. As he did not know Nabi , he did not consider it advisable at that time, under the circumstances prevailing, to enquire about him from anybody. When it became dark, Hadhrat Ali noticed him and could not ignore him as he was a stranger. 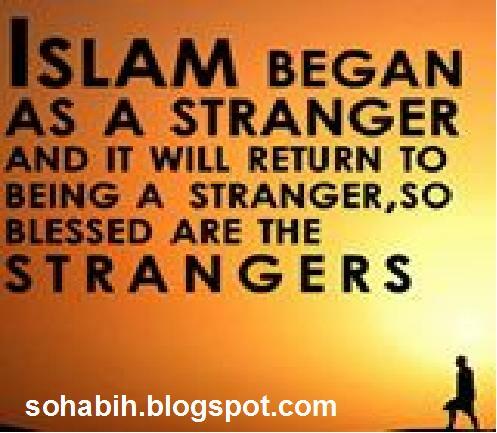 Hospitality and care for the travelers, the poor and the strangers was the Sahaabah’s second nature, he therefore took him to his place. Neither did he ask him about the purpose of his visit to Makkah, nor did Abuzarhimself disclose it. Next day, he again went to the Haram and stayed there till nightfall without being able to learn who Nabi J was. In fact everybody knew that Nabi J and his companions were being persecuted in Makkah and Abuzar might have had doubts about the result of his quest for Nabi J. Hadhrat Ali again took him home for the night and once again did not have any talk with him about the purpose of his visit to the city. However, on the third night, after Hadhrat Alihad entertained him as on the two previous nights, he asked him: "Brother, what brings you to this town?" Before replying, Hadhrat Abuzartook an undertaking from Hadhrat Ali that he would speak the truth. He thereafter enquired from him about Muhammad. 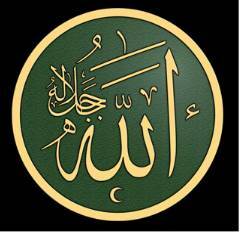 Hadhrat Ali replied: "He is verily the Nabi of Allah. You accompany me tomorrow and I shall take you to him, but you have to be very careful, in case the people come to know of your association with me, and you get into trouble. When on our way I sense some trouble, I shall get aside pretending some necessity or adjusting my shoes, and you may proceed ahead without stopping so that the people may not connect us." 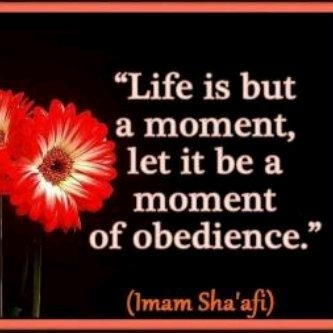 The next day, he followed Hadhrat Ali , who took him before Nabi J. In the very first meeting, he embraced Islam. “I bear witness that there is no god save Allah, and I bear witness that Muhammad J is the Nabi of Allah." People attacked him from all sides and would have beaten him to death if Abbas (Nabi's j uncle, who had not till then embraced Islam) had not shielded him and saved him from death. Abbas said to the mob: "Do you know who he is? He belongs to the Ghifar clan, who live on the way of our caravans to Syria. If he is killed, they will waylay us and we shall not be able to trade with that country." This appealed to their common sense and they left him alone. Hadhrat Abuzarrepeated the Shahadaat the next day and would have surely been beaten to death by the crowd had not Abbas once again intervened and saved him for the second time. The action of Hadhrat Abuzar was due to his extraordinary enthusiasm for proclaiming Kalimah among the disbelievers, and the prohibition by Nabi was due to the soft corner in his heart for Hadhrat Abuzar , lest he be put to hardships that might prove too much for him. There is not the least shadow of disobedience in this episode. Since Nabi J himself was undergoing all sorts of hardships in spreading the message of Islam, Abuzaralso thought it fit to follow his example rather than to avail of his permission to avoid danger. It was this spirit of Sahaabahthat took them to the heights of material and spiritual progress. When a person once recited the Kalimah and entered the fold of Islam, no power on earth could turn him back and no oppression or tyranny could stop him from Tabligh. Abu Zar Ghifari acclaimed the Kalima and entered into the fold of Islam when none but Khadija ra, Abu Bakr Siddiq ra, Ali ra and Zaid Bin Harisa ra had accepted Islam, Thus Abu Zar was one of the first ten Muslims, In Islamic history he is known as one of the most candid, frank and straight forward companions of the Holy Prophet (S.A.W.). He always expressed the truth at the risk of incurring displeasure of others. His statements were always prompted by regard for truth, free from disguise or bias and without regard for friendship or otherwise. His heart was pure and unsophisticated. "The heaven has never given shadow and the earth has never borne a person who had more truthful tongue than that of Abu Zar." The real name of Abu Zar Ghifari was "Bareer," or according to some other historians Jandab. He belonged to the tribe Banu Ghifar, so he is known as Ghifari. This tribe was the offspring of Kenana bin Khazima who was also an ancestor of the Prophet (S.A.W.) on the fifteenth step of the family chain. Ghifar was on the seventh step of Abu Zars family chain so the tribe was renamed after him. Abu Zars mother was Ramla, the daughter of Rabiah, She too belonged to the same tribe. The abode of the tribe was in the area of Badr about eighty miles away from Madina. The way from Mecca to Palestine was not far away from the place where Banu Ghifar used to live. The people of Banu Ghifar tribe were very poor, having no proper means of subsistence. Yet they remained contented for long to their pitiful plight. But, at last, they were compelled by their poverty to adopt robbery as their means for their existence. They would plunder, not only the trade caravans passing through the road between Mecca and Palestine, but also would invade sometimes the other tribes living in the area. "I used to stand for prayer at night and remain standing till dawn. And then I would lay myself on earth and would rise only when there was heat of the sun." The people of Ghifar would hear him uttering "La Ilaha-Ill-Allah" and would wonder at his utterance. Till then the Sun of Islam had risen in Mecca, and the Prophet (S.A.W.) had started to call the people towards the Message of Allah. One day a man of the Ghifari tribe, who had been to Mecca, heard about the call of the Prophet (S.A.W. ), Coming back to his tribe he narrated about this call to Abu Zar, Hearing this, Abu Zar at once sent his brother Unais to Mecca in order to be aware of more facts about the Prophet (S.A.W.) and his call towards the Oneness of Allah. Unais, who was an intelligent person and a great poet, went to Mecca and heard directly the lofty message of the Prophet. He was much impressed by the sayings of the Prophet (S.A.W.). When he came back home, Abu Zar asked, "How did you find him who calls the people towards the Unity of Allah?" "People call him poet, fortune-teller, magician etc…, " replied Unais, "But by God I did not find him as such. Actually, he calls the people towards virtues and forbids them from evils." This inadequate reply could not satisfy Abu Zar so he went to Mecca himself. Reaching there he stayed at Kaba. Till then he did not recognize the Prophet (S.A.W.) by face, yet he did not think it fit to ask anybody about him. He only hoped that the Creator Himself would help him to identify His Messenger, One day Ali saw him and said, "I am observing for the last few days, as if you are seeking for someone; what is the matter?" In reply to Ali, Abu Zar said, "I may tell you what I want, if you promise to keep it secret." "Be sure, I would not disclose your secret to anyone." replied Ali (R.A.A.). And then Abu Zar disclosed what he wanted, Ali was much pleased to know his desire so he said to Abu Zar, "You have got the Right Path, He is really the Messenger of Allah, whom you are seeking for." "Then for the sake of Allah, please take me to him." requested Abu Zar. Ali took him to the Holy Prophet (S.A.W.). Seeing the bright face of the Holy Prophet, Abu Zar had not an iota of doubt in his mind about the truthfulness of the Holy Prophet (S.A.W.). Being impatient he said, " O Messenger of Allah, please let me know about your Message,"
The Prophet (S.A.W.) told him all about Islam in such an impressive manner that Abu Zar at once accepted Islam without any hesitation, and thus he attained the position of the fifth Muslim in the history of Islam. The Prophet (S.A.W.) enquired, "And how have you managed for food while you are in Mecca for the last few days?" In reply to this kind and graceful enquiry of the Prophet (S.A.W.) Abu Zar said, "I could not get anything to eat but I have satisfied myself drinking the Water of ZamZam." Hearing this, Abu Bakr Siddiq who was also present there, asked for the permission of the Holy Prophet to take Abu Zar to his house and offer him some food, Holy Prophet Muhammad (S.A.W.) not only gave him the permission but he also accompanied them to the house of Abu Bakr, where the Prophet (S.A.W.) and Abu Zar were served with dried grapes. The Prophet (S.A.W.) advised Abu Zar not to disclose to anyone in Mecca about his accepting Islam but to go back to his tribe and preach Islam there. Abu Zar (R.A.A.) was, however, too enthusiastic. He requested the Holy Prophet,"0 Messenger of Allah, I cannot hide my faith now, so kindly allow me to declare openly about it in Mecca,"
Seeing his enthusiasm the Prophet (S.A.W.) did not object. So Abu Zar went straight to Haram-e-Kaba, where many idolaters were present. Abu Zar addressing them loudly said, "There is none but Allah able to be worshipped and Muhammad (S.A.W.) is His truthful Messenger", "Hearing these words of Abu Zar the idolaters rushed to attack him and gave him such a beating that he was bruised and covered with blood. While he was being beaten, Abbas bin Abdul Muttalib, the uncle of the Holy Prophet (S.A.W. ), came over there and seeing an outsider being beaten so mercilessly, he at once rushed to save him. He scolded the attackers and saved Abu Zar from them. As Abbas had not yet accepted Islam so he was respected by the Quraish, that is why they let Abu Zar go. Abu Zar, however, was not intimidated by those brutes; he on the other day again came to Kaba and as before addressing the idolaters repeated his words about acceptance of Islam. This enraged them too much and they started to assault him again. This time also Abbas came to his rescue. This time Abbas told the idolaters that Abu Zar belonged to Banu Ghifar, a war-loving tribe so it would not be advisable for them to excite and make enemy such a furious tribe. If Abu Zar was murdered by them, then no trade caravan of the Quraish would be able to pass safely through the area of Banu Ghifar. The idolaters had the sense to understand the warning of Abbas, so they let Abu Zar go. It was also clear to Abu Zar that the Quraish would not listen to him, so it was of no use to try to convince them. Only the Prophet of Allah (S.A.W.) could guide them to the right path. Abu Zar, now made up his mind to go to his own tribe and preach Islam among his own people. Returning home he first of all preached Islam to his mother and two brothers who responded positively to his preaching and promptly accepted Islam. Being encouraged by their acceptance he began to preach with great zeal among the people of his tribe. His efforts did not go fruitless, nearly half of the people of Banu Ghifar accepted Islam within a short period and the rest accepted after the Hijra of the Prophet (S.A.W.) from Mecca to Madina. Abu Zar himself migrated to Madina after the battles of Badr, Uhud and Khandaq (trenches), so he could not take part in these battles, Coming to Madina he dedicated himself to the service of the Holy Prophet (S,A,W.). The Prophet granted Abu Zar 32milch camels and he went with his wife Laila and son Zar, together with those camels to settle on a place called Zi-Qard, about 12 miles away from Madina. But there he was attacked by a gang of robbers of Banu Ghatfan. The robbers killed his son Zar and made good their escape taking away his wife and the 32 camels given to him by the Holy Prophet. In the meantime, however, the companions of the Prophet came to know about this happening and so they ran to his rescue, The robbers were overtaken by the companions of the Holy Prophet and thus the wife of Abu Zar and his camels were brought back from the possession of the robbers. This event is known in history as the battle of Zi-Qard. The first battle after his migration to Madina was the battle of Tabuk. Abu Zar took part in this battle with great zeal and fondness. While going to the battlefield he was left behind and separated from the Muslim army on the way because of his camel being tardy and slow. He left the tardy camel on the way and started towards the battlefield on foot alone with his baggage on his shoulder. The Prophet (S.A.W.) was deeply impressed by his deep love for, and great devotion to Allah and His Messenger, so he had given him the title of the "Messiah of Islam." The Prophet had great affection in his heart for Abu Ear. Whenever he would be present in the Holy Prophets sitting and the Prophet (S.A.W.) would have to say something, first of All, he would address Abu Zar. If the Prophet (S.A.W.) would not see Abu Zar in any of his sittings, he would send for him and on his arrival the Prophet (S.A.W,) would shake hands with him. 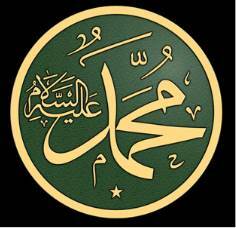 The Holy Prophet (S.A.W.) could not forget Abu Zar even at his death-bed, He sent for him when he was seriously ill and when Abu Zar called on him he embraced him with great affection and love. "Then, O Messenger of Allah, "Abu Zar asked further, "I love only Allah and you, now what about me?" "Then certainly you are with Allah and His Prophet," the Holy Prophet (S.A.W.) replied. Abu Zar would ask questions freely even about very ordinary and simple affairs, and the Prophet (S.A.W.) would reply him affectionately. Most of his time in Madina would pass in the service of the Holy Prophet, so he had attained the position of those companions who were very close to the Holy Prophet(S.A.W.) He had attained so much confidence. of the Holy Prophet that the Prophet (S.A.W.) would also tell him some secret affairs and he would maintain the secrets of the Prophet (S.A.W.) as it ought to be. One day while Abu Zar was lying in a mosque near Madina, the Prophet (S.A.W.) 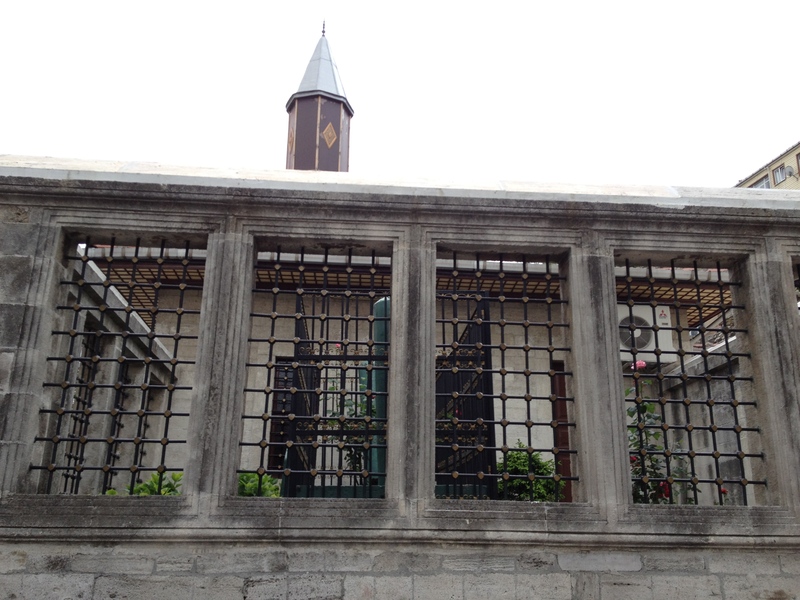 came Had asked, "If you are expelled from this mosque, what would you like to do, Abu Zar ?" "But if you are compelled to go out from those places too, then?" the Holy Prophet inquired. "May Allah forgive you," said the Prophet, patting his hand thrice on the shoulder of Abu Zar, "do not try to bring out your sword but try to have patience, Go away, wherever you are asked to." We shall see later on that Abu Zar acted fully on this advice of the Holy Prophet (S.A.W.). Once Abu Zar desired to the Prophet for the Office of the government. But the Prophet (S.A.W.} said, "You would not be able to bear such a heavy burden, I like for you the same that I prefer for myself,"
Hearing this from the Prophet (S.A.W. ), Abu Zar never, in future, desired for any post or office. Being impressed by his dervishlike nature the Prophet (S.A.W.) would say, "Abu Zar has the temperament of Christ, the son of Mary." "Those who accumulate gold and silver but do not spend in the path of Allah, give them the message of painful torment." This message would appeal the poor people but that rich and well-to-do people would not like such expressions of Abu Zar. Amir Muaviyah and some other people differed with Abu Zar in this regard. Amir Muaviyah and his supporters would say that the verse concerned with the Jews and the Christians. But Abu Zar insisted that it was for all. Abu Zar would bitterly criticize Muaviyah, who was then the Governor of Syria, One day while he was passing through the way where the great palace Mahal-al-Khizra of Amir Muaviyah was being built, Abu Zar stopped and saw the splendor of the palace. "If this palace is being built from the public money then it is a breach of trust," remarked Abu Zar, "and if it is being built from his own money then it is prodigality." Amir Muaviyah heard this but did not give him reply. He was, however, offended. After a few days when an army was bring sent to Cyprus, he sent for Abu Zar and asked if he was ready to be included in the army, Abu Zar who had devoted his life for the sake of Allah agreed promptly and said, "To fight one day in the path of Allah is far better than those thousand days which are passed at home, I am quit ready to take part in the holy war." When Cyprus was conquered and the war was over, Abu Zar came back to Syria and started preaching his own view points before. He would criticize the Government so bitterly that sometimes it would become quite intolerable for Amir Muaviyah. One day the Amir sent a considerable sum of money to Abu Zar, who just after receiving the amount of money distributed it among the poor people, Amir Muaviyah had sent the amount as for his test, so the other day he sent a man to Abu Zar to bring back the amount with the plea that it was sent to him by mistake, Amir Muaviyah had the intention that if he could return the money then he would ask Abu Zar how he could retain so much money for the whole night, while he was keeping any money with him. When the messenger of the Amir came to Abu Zar and asked him to return the money, he replied that the amount had been distributed among the needy people before the daybreak. When Muaviyah heard the reply of Abu Zar, he said, "Abu Zar is really a truthful person, he does whatever he says." One day Amir Muaviyah invited Abu Zar Ghifari to take lunch with him. When Abu Zar came and saw the varieties of food at the dining table he refused to accept the invitation and said, "Since the time of the Messenger of Allah (S.A.W. ), I never take more than a "Saa" (about one seer) of barley in a week, By Allah I will never increase the quantity till I meet my friend, the Holy Prophet (S.A.W.)." Abu Zars fearless and independent criticism created a tension between Amir Muaviyah and Abu Zar. This happened during the reign of Usman Ghani (R.A.A. ), the third Caliph. Usman hearing all about the tension between the two companions of the Prophet (S.A.W.) sent for Abu Zar to Madina. There too Abu Zar started to criticize the administration according to his own way. The Caliph forbade him to do so. This created an undesirable situation between the two great personalities and Abu Zar declared, "By Allah, if even a sword is kept on my throat and I am ordered not to speak whatever I have heard from the Messenger of Allah, I would not give up saying the truth," Usman, however, advised him to leave Madina for Rubza, a village near Madina. Abu Zar Ghifari, who liked solitude left for Rubza according to Usmans suggestion and settled there to live peacefully. When the people of Iraq came to know that Abu Zar had been banished to a solitary place in the desert, they sent a message to him that they were very much annoyed to her this. This was an unfair treatment of Usman with him, so if he (Abu Zar) liked and permitted them, they were quite ready to revolt against the Caliph. Abu Zar, in reply to them said, "I think the treatment of Usman (R.A.A.) is beneficial to me, You should not interfere in this matter, nor you should plan anything against the Chief of the Believers, for Allah does not accept their repentance who disrespect their Chief,"
According to an account of Abu Asma (R.A.A. ), once he went to Rubza to see Abu Zar. He saw the wife of Abu Zar in a very pitiful condition. He said to Asma, "You see, this woman is trying to compel me to go to Iraq, so that the people there, may come to me with the worldly affairs. But she does not know that as my friend the Prophet (S.A.W.) has stated that besides the Bridge Serat there is a path which is very dangerous to pass over and only those who have not much burden would be able to pass over easily." Once Abu Zar Musa Ashari, the Governor of Iraq went to see Abu Zar. Ashari used to address him with the word "Brother." But this time Abu Zar asked him not to address him as brother, Abu Musa wanted to know the cause then Abu Zar said, "I do not know what you have done as a Governor, First let me know whether you have built any building for you and you have accumulated corns, cattle etc. for you," Abu Musa replied in the negative, "Then you may say me brother," Abu Zar said. Abu Zar Ghifari became ill during the days of Hajj in 31st (or according to some in 32nd) year of Hijrah, All the people of the village of Rubza had gone to perform Hajj. In the village there was none to look after Abu Zar except his wife and a daughter, Seeing him at the deathbed his wife began to weep. Why do you cry?" asked Abu Zar in a very low voice. "At such a lonely place, you are breathing your last, "said his wife, "what shall I do after you, I have not even a piece of cloth for your shroud, nor I have so much strength as to prepare a grave for you,"
Ah, you need not bother for such things," said Abu Zar, "listen to me, one day I and some others were present with the Prophet (S.A.W.) when he had said seeing towards us that one of us would die in a very lonely place in the desert, then a party of some Muslims would arrive there and they would lay him to rest Now, I see, all except me have passed away from this world. Only I am left and now I am dying in this lonely place, So the Holy Prophets prediction would he proved correct and a party of Muslims must arrive here who will do the needful. You go out and see, the party must come." His wife went away and standing on a nearby rock began to wait for the expected party. In the meantime Abu Zar asked his daughter to prepare some food for the people expected to come for his burial. After a while, really, there appeared, at a distance, some people coming towards the village. When they came close to her, Abu Zars wife called them and said, "0 brethren in faith, here a Muslim is about to leave this world, so please, come and help me to perform his last rituals,"
"Who is he?" asked one of the new comers. "What is his name? "Abu Zar Ghifari," replied the lady. Hearing his name the new comers became impatient. They cried out, "Where is he? Let us go." When those people reached the tent of Abu Zar he was about to breathe his last, yet he said in a suffocated voice, "I welcome and congratulate you that the True Messenger of Allah had given the news of your arrival long ago. However, I should make it clear that no such person should provide me with a shroud who has ever been in the service of the Government." Hearing this an Ansari youth came forward and said, "0 friend of the Messenger of Allah, I have never been in the service of the Government and here I have one spare sheet of cloth, so do you allow me to offer the sheet for your shroud?" Abu Zar nodded and then breathed his last with the following words on his lips. "With the name of Allah, with Allah and on the faith of Allah." Abdullah bin Masood took Abu Zars family to Madina and gave them under the supervision of Usman (R.A.A. ), According to some other historians, Usman hearing the news of his death went himself to Rubza and brought the family of Abu Zar with him to Madina. Abu Zar is regarded in the history of Islam as one of the most respectable companions of the Prophet (S.A.W.) .Although he was great critical to those who had lust for power yet he was not a fretful or peevish person, Seldom he was angry with anybody or at anything, Every aspect of his life is a candle for the Muslims.